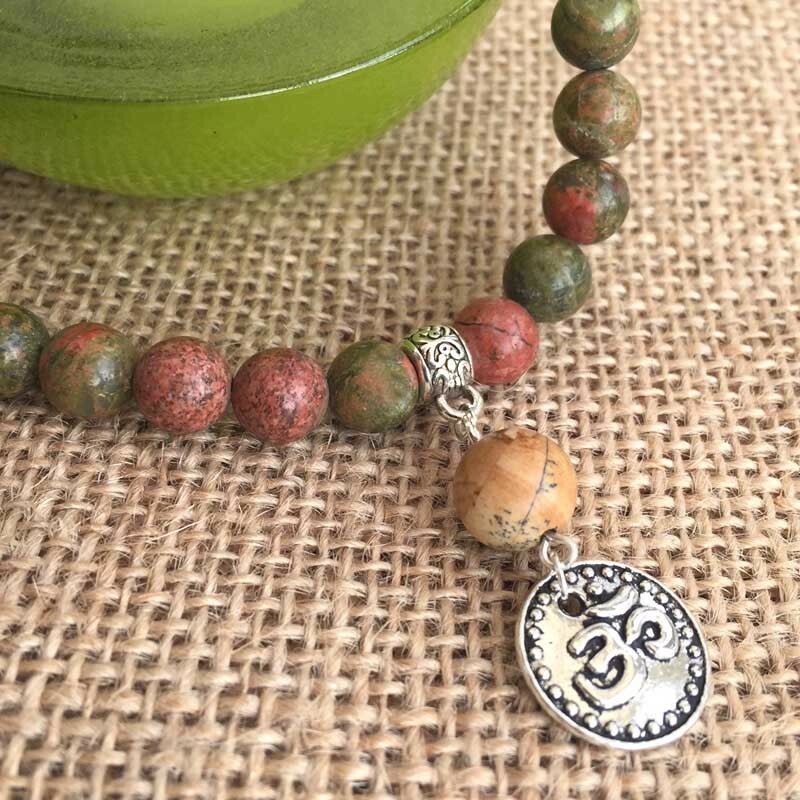 Mala bracelet (Wrist Mala, Hand Mala) handmade with 27 beautiful Unakite gemstone beads, a large Picture Jasper Guru-bead and Aum Pendant. 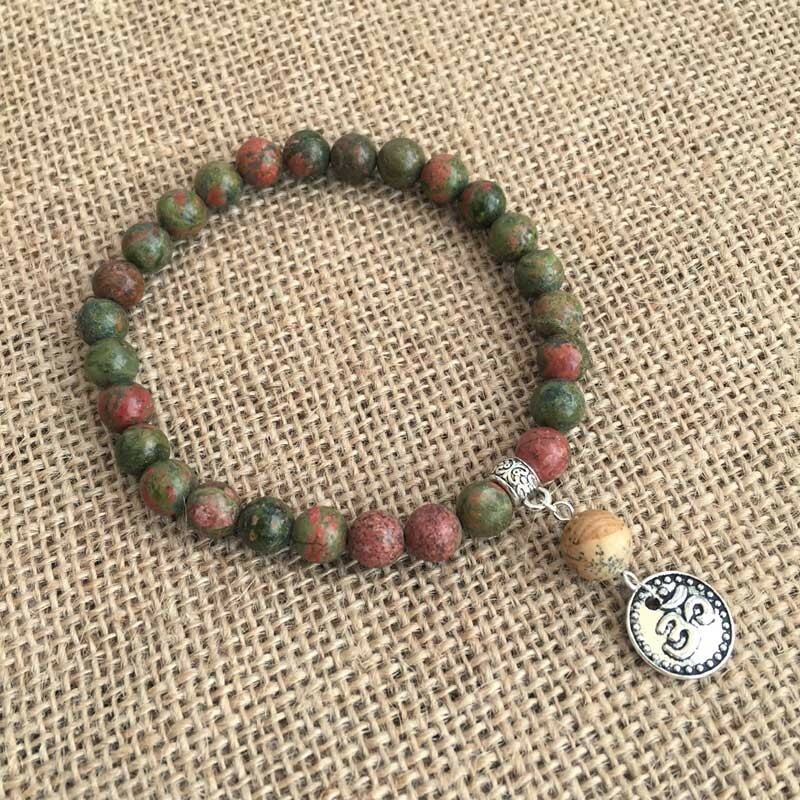 A beautiful Mala bracelet for Yoga & Meditation! Mala bracelet (Wrist Mala, Hand Mala) handmade with 27 beautiful Unakite gemstone beads, a large Picture Jasper Guru-bead and Aum (Om) yoga symbol pendant. 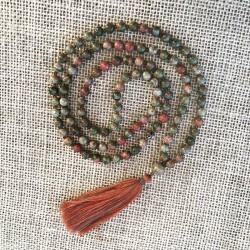 Mala bracelet contains 27 pearls. The number 27 is 1/4 of 108, which is a sacred number in Hinduism, Buddhism and several other Eastern religions. The number 108 is representing the universe as one thing (1), nothing (0) and everything (8, or infinity).